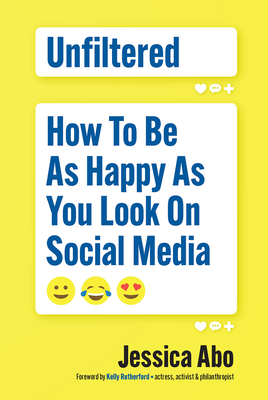 Unfiltered: How to Be as Happy as You Look on Social Media is for anyone who needs to be reminded that we're all a work in progress, no matter what judgments we make when measuring our lives against what others share online. In her debut book, award-winning journalist and sought-after speaker Jessica Abo addresses the relationship between our psychology and technology and how we can take back our happiness IRL (in real life) without falling into the compare and despair trap. Identify what's really at the root of your unhappiness Stay positive when you're feeling lost and rejected Build a life that makes you happiest Navigate toxic relationships and inevitable friendshifts Master the art of letting go Turn setbacks into stepping stones. Jessica Abo is a sought-after keynote speaker, multi-award-winning television journalist and passionate philanthropist who has raised more than a million dollars for several causes by organizing her own events and running marathons. A New Yorker at heart, Jessica now lives in Los Angeles with her husband and their daughter.